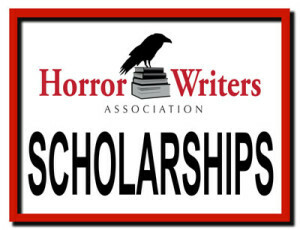 The Horror Writers Association (HWA) is pleased to offer five scholarships to assist writers looking to pursue a career as a writer of horror fiction, nonfiction, or poetry. We also offer one endowment to libraries to expand their young adult reading programs. 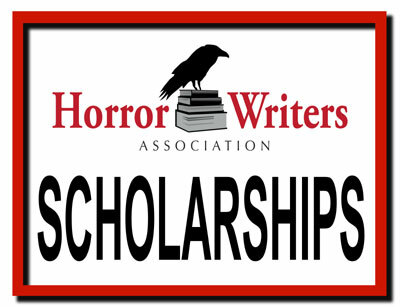 HWA is dedicated to promoting the horror genre and providing education to both the general public (via our appearances at conventions and book festivals, our yearly StokerCons, and our iconic Bram Stoker Awards®) and to writers. The Scholarship From Hell is now open to applications. Our other scholarships will re-open in May 2019. If you have questions, please visit our General Rules or the FAQ. PLEASE NOTE: HWA does NOT offer grants to fiction writers, we do not hold writing competitions, and we don’t buy writing work. If you’d like to submit to HWA’s exclusive anthologies, you must be a member of HWA first – please visit http://www.horror.org for more information on how to join.